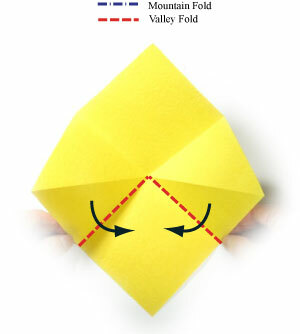 Prepare to apply a "square-fold" . Try to learn how to apply a square-fold from the above link. 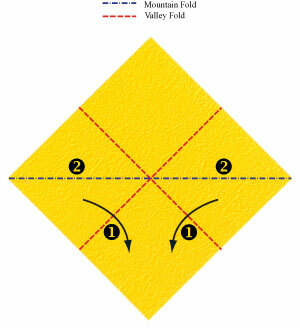 At first, prepare to apply two valley-folds followed by two mountain-folds. Start applying two valley-folds of the step #7.